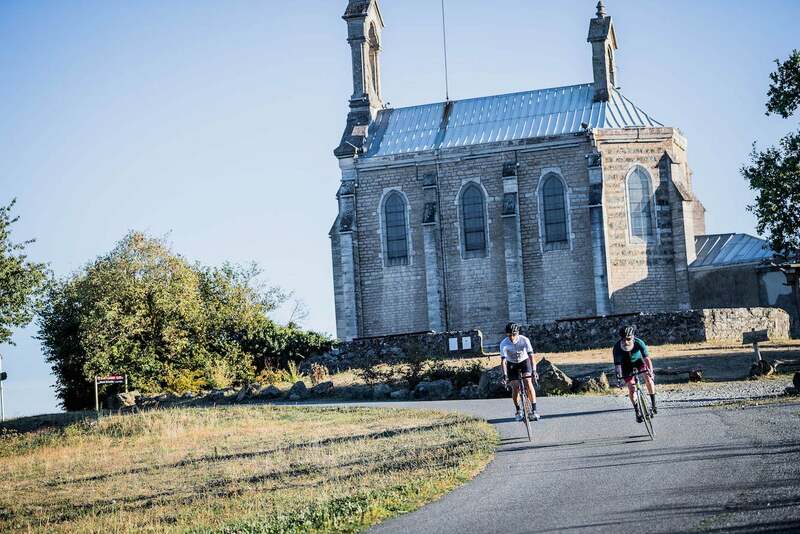 When it comes to picturesque cycling routes, France has an abundance. 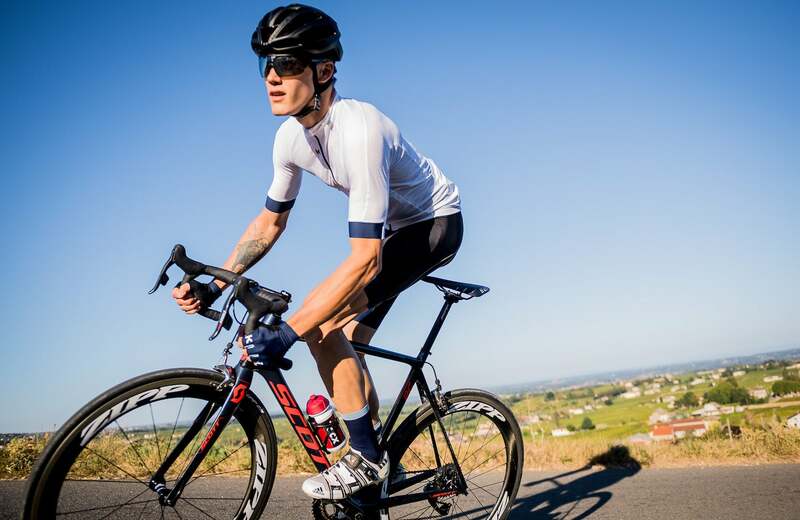 And with the wine harvest in full swing, we can think of no better place to take a couple pairs of Zipp wheels for a spin than to one of the country’s most-renowned wine regions. Every wine region has its own ways of celebrating the annual harvest, be it Bordeaux or Burgundy, Provence or the Loire. But none is more well known than that of the annual unveiling of Beaujolais Nouveau. And as we soon discover, the region has more to offer than simply its wine. Beaujolais Nouveau cannot be confused with wines that keep for years. Instead, it is meant to be drunk young and is synonymous with the festive and convivial spirit that accompanies the holiday season. The Beaujolais region is contained in two valleys that rise from the Saône River valley. Here, daily life is very much at a human level. The majority of the wine business here is dominated by family-run vineyards, which rarely exceed 10 hectares (25 acres) in size. And the local roads are seldom more than two lanes wide. 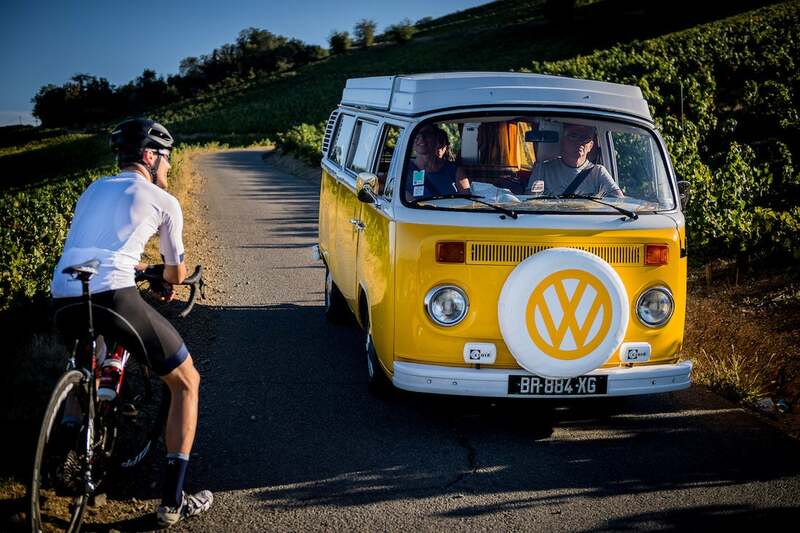 The Beaujolais region is only a half-hour-or-so drive from the city of Lyon, and one is instantly transported into a pastoral playground whose remote nature is ideal for cycling. 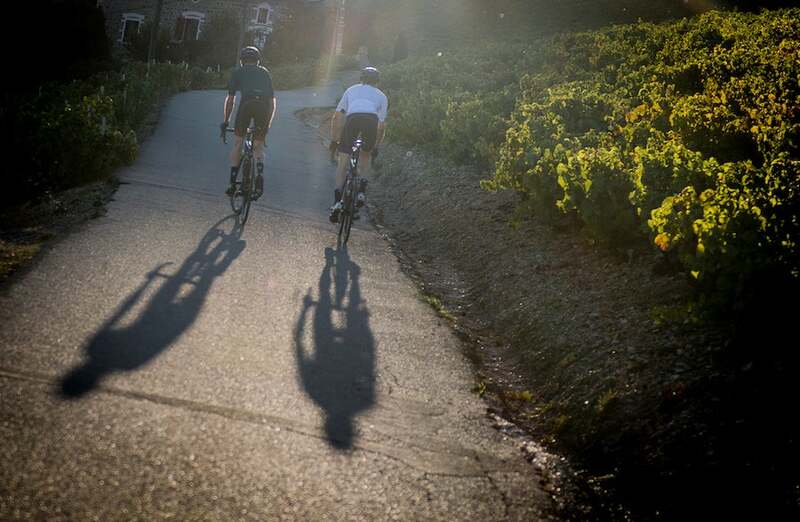 For our first ride, we opt to ride toward Le Mont Brouilly, one of the famous Beaujolais “crus.” But while the area is known for its wine, it also has a rich cycling heritage. 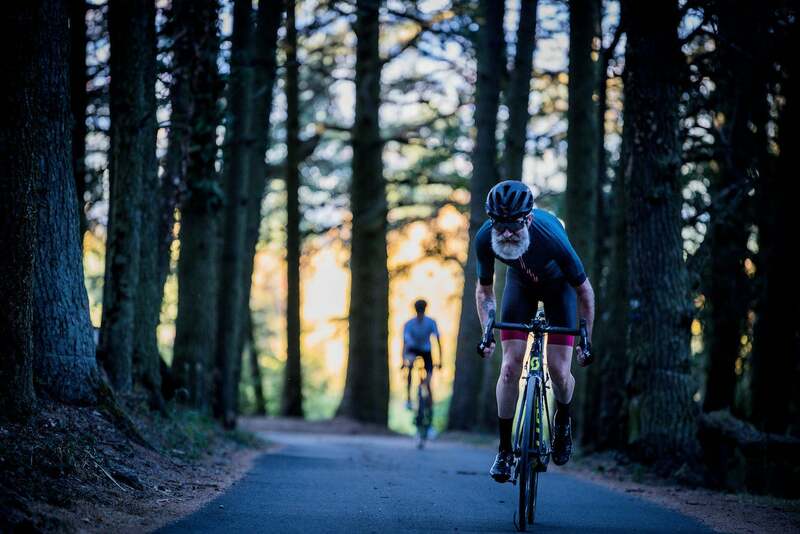 For years, Mont Brouilly hosted a major international cyclocross race that brought together the world’s top riders every winter. And in the past few years it has hosted the Paris-Nice stage race, most recently with a time trial to the summit in 2017 won by Julian Alaphilippe. Starting from the village of Beaujeu, the historic capital of Beaujolais, we decide to warm up on a quiet road though Régnié-Durette, one of the 10 other villages honored by the “cru” status. That the road to Régnié-Durette is lined with vineyards comes as no surprise to our two riders, Tamas and Philippe (a.k.a. Fifounet). Stopping for water as they cruise through Régnié-Durette, our two riders then make their way toward Mont Brouilly, which is easily visible from nearly every corner of Beaujolais. And after passing through Saint-Lager they soon start to climb. 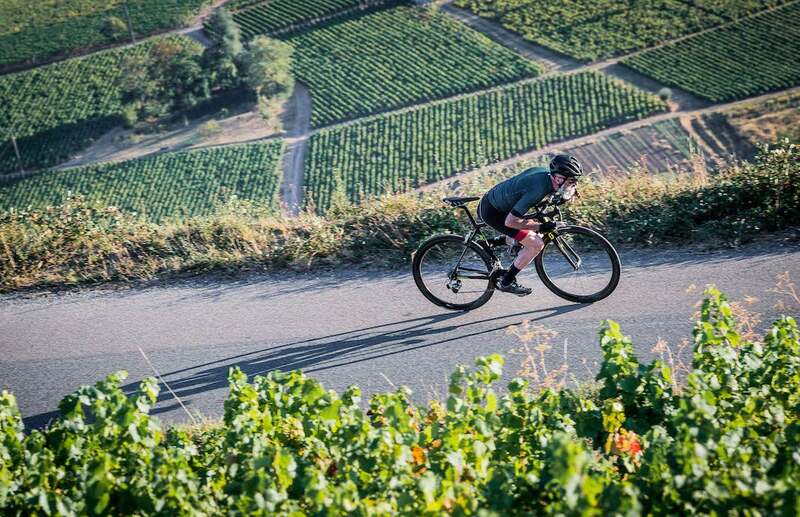 Not unlike the renowned monts found in Flanders, the narrow road that snakes up Mont Brouilly is short, but steep. Quickly, Tamas and Fifounet are engulfed in the vineyards that cover the lower ramps of the mountain. But the shelf-like road allows them to enjoy the magnificent views the climb has to offer. 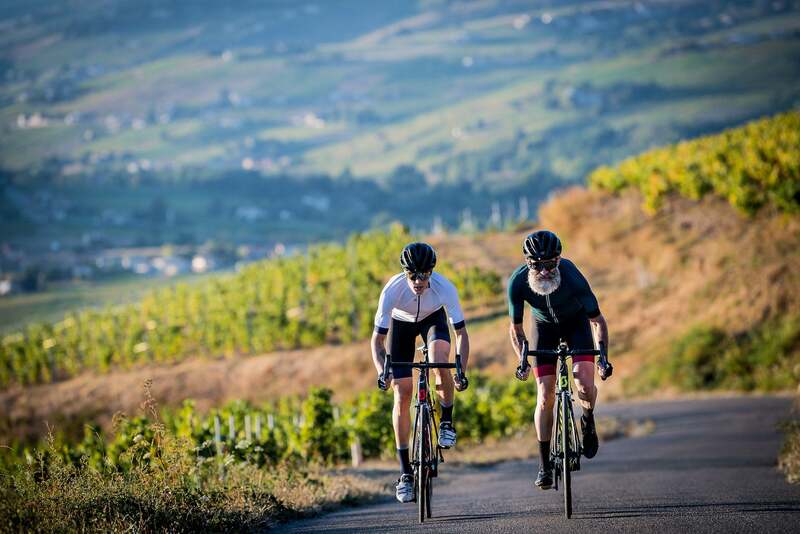 But while they savored the descent, before reaching the bottom, the duo also looks forward to a much-anticipated visit with local wine producer Bernard Dumas, a retired cyclocross racer, who has run the family’s vineyards for decades. Although he spends his time tending to his Domaine des 3L, a fixture of the Côte de Brouilly appellation, Dumas also organized the Cyclo-Cross International de Brouilly for many years. Taking us into his wine cellar, he’s only too happy to dust off the many race programs he has collected over the years. And Tamas and Fifounet were only too happy to browse through the booklets along with the old photographs of champions such as Bernard Hinault and Joop Zoetemelk as they tasted some of Bernard’s homegrown wine. In short, it was the perfect end to an already great day. What’s there not to like about this place?